We’re still in the heart of summer, and back-to-school time is not yet on everyone’s minds. Children have more free time, leaving many parents are on the lookout for educational ideas to keep them learning. One of the most popular recommendations from teachers for the summer break is to hit the books. Reading is a great way for students to increase their vocabulary, build their skills, and ultimately get a head start for September. As an added bonus, reading can be a lot of fun and a great summer escape for kids. The key is to make it exciting by tapping into personal interests and popular themes. The benefit of the summer is that parents and students can curate their own summer reading lists together. Looking for a reading guide? To tap into current themes, explore books focused on Canada 150, STEM (science, technology, engineering and mathematics), coding and trivia. This classic alphabet book is now available as a board book. You may have seen it displayed in the children’s section of Indigo with a Heather’s Pick sticker. Introduce your little learner to northern life and the ABCs at the same time with A is for anorak to Z is for zinc mine. The illustrations are from Ted Harrison, a known artist from the Yukon and Order of Canada recipient. For all the budding scientists, this picture book is a great introduction to the subject. Follow Charlotte the bunny as she conducts experiments in her mission to become a serious scientist. Young readers will learn about the scientific method and the art of asking questions to search for answers. Warning: your little learner may be asking for a lab coat. This picture book is the ultimate STEM read, following the true story of marine biologist Eugenie Clark. She earned her nickname Shark Lady based on her love and research for these once misunderstood creatures. Students will be inspired by her story to become a scientist at a time when women were not encouraged to pursue this field. Summer presents a great opportunity to practice writing skills, which can often be overlooked. While kids may be glued to their tablets, the old fashioned part of me still loves the creativity of cards. This fun activity book from National Geographic Kids will teach children the art of thank you cards with animal themed postcards. Children can take this opportunity to write family and friends summer updates, or even send their camp counselor a thank you card. This pick is perfect for young inquisitive minds. Children who love to learn will enjoy the unique facts and stats covering a multitude of topics. This resource is packed with information that will keep students stimulated for long stretches of time. As an added bonus, parents will learn some fun facts along the way too. Hot off the presses, get a copy of this coding book (out this August) for beginner programmers. Coding is a popular trend in the education world. Give your tech genius a head start with this resource that teaches students how to build a website, app and game. Fun fact: this book has been put together by Young Rewired State – a community of tech innovators ages 18 and under. This pick is for the entire household to enjoy. I strongly believe in adults modeling their love of reading for children in the summer (and all year round). The World Needs More Canada is the ultimate family-friendly coffee table book featuring over 100 known Canadians and their stories, photographs and anecdotes. It’s the perfect tribute and celebration of Canada 150! Now with a few recommendations under your belt, it’s time to take your little learner to your local library or bookstore. Which book will you choose? 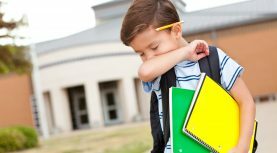 Having your kids understand and practice self-regulation can feel like a lofty goal when children are young and impulsive. But it's a skill that can and should be taught. 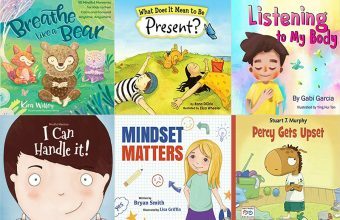 Here's a list of books that can help preschoolers and early learners. Joanne Sallay is the President at Teachers on Call, a personalized home tutoring service with over 30 years of experience, providing one-on-one instruction in all subjects and grades. In addition to regularly blogging about educational news, strategies and books, Joanne is a busy mom.